I work mostly as an actor and writer. I also create my own work which includes the shows The Harri-Parris: The Leaving Do and The Harri-Parris: The Big Day. 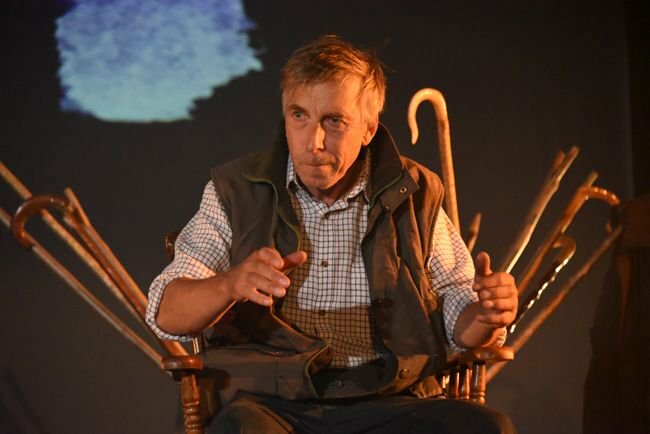 Both shows are comedy dramas with songs about a farming family from west Wales. The new show will be touring venues across Wales and beyond in Spring 2015. I'm also writing a radio sitcom based on the show for BBC Radio Wales. Currently developing The Harri-Parri's Big Day in collaboration with the Torch Theatre and Chapter.Touring in Spring 2015. Writing sitcom based on The Harri-Parris for BBC Radio Wales. Developing solo comedy show - Llinos Mai: Who do you think you are?! Developing Anthem with Joio TV and Ffwrnes. Developing third Harri-Parris show as a seed commission for NTW. Written episode 6 of TV comedy drama 'Cara Fi' for S4C and Touchpaper.